Experienced industry executive Bashyam Krishnan has been appointed the new CEO and Chairman of the Management Board of Horizon Pulp & Paper (Horizon), a leading sack kraft producer in Estonia. “With his outstanding experience in major industrial groups and international markets, Mr Krishnan is a valuable addition to the management of Horizon Pulp & Paper and we are delighted to have with him an accomplished industry leader on board,” said Sonny Aswani, Director of Estonian operations of Tolaram Group, the owner of the company. “It is an honour to join the team of Horizon Pulp & Paper, a major Estonian industrial company with a strong track record across the years. The company’s medium-term objective is to considerably increase the competitiveness with implementation of large-scale investment program in coming years. This would also help to expand and strengthen the company’s client base, currently covering over 55 countries worldwide,” said Bashyam Krishnan, CEO & Chairman of the Board, Horizon Pulp & Paper. Ms Aime-Kersti Kelder and Mr Roman Bukachev remain two other Members of the Management Board. Mr Krishnan is a graduate in Chemical Engineering with a total of 29 years of work experience, of which 21 years in India. 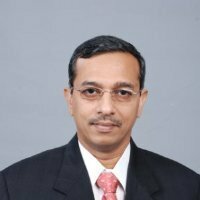 Since 2005 Mr Krishnan was engaged in several senior management and development functions in Thailand and Egypt operations of Aditya Birla Group, an Indian multinational company with annual gross revenue of USD 40 billion. Mr Krishnan has extensive experience in manufacturing, projects and general management in Chemical and Fibre industry. In 2012 Horizon launched a new super-batch technology pulp cooking plant, as a part of a €55m investment program and at the end of 2013 a new lime kiln will become operational enabling the company to recycle more than 90 per cent of the lime used in the production. This year Horizon ordered a wood processing line to be supplied by a globally leading technology company Andritz Group; the processing line will become operational by the middle of 2014. Horizon Pulp & Paper is Estonia’s only sack kraft paper producer. A subsidiary of the Singapore headquartered international industry group Tolaram, Horizon possesses substantially modernised production facilities with a total investment of approximately €90m in over 15 years, about €40m of that channelled to investments of reducing emissions. Since 1995 when Tolaram Group acquired the mill it has invested significantly in achieving better standards in quality, efficiency and environmental protection. The company’s foundations date back to 1938 when Kehra Paper Mill started operations in the premises of current Horizon mill.